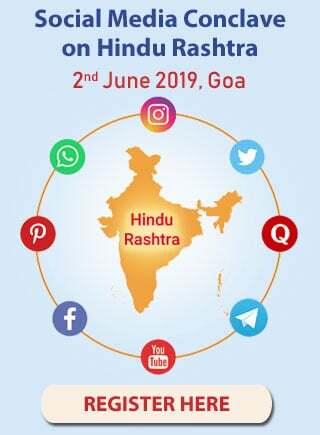 Hindu Dharma has mentioned so many paths of performing shradh that there is absolutely no room for excuses for not performing shradh for a particular reason. This proves how important it is for everyone to perform shradh. We will see how to do shradh in case anyone faces obstacles in performing it. A. 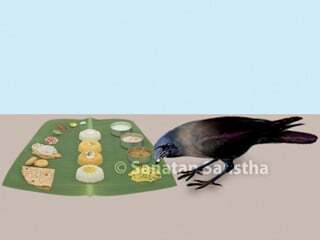 If the adequate number of Brahmans are not available, invite any Brahman who is available. B. If the Brahmans are not available for the shradh of the mother, invite a married woman and perform the shradh. C. If adequate number of Brahmans are not available, invite one Brahman and make him sit on the seat for pitars. Place a shaligram (Stone emblem of Shrivishnu) on the seat for the Deities. Make a resolve and perform the shradh. 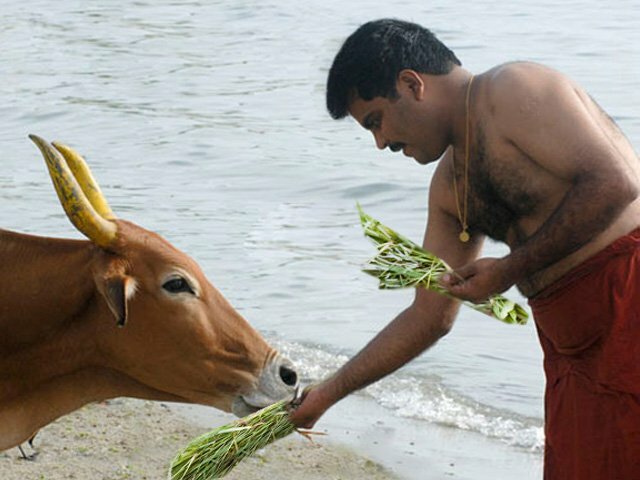 The leaf with food served to the Deities should then be offered to a cow or should be immersed in a river, lake, pond, well, etc. D. If it is not possible to perform shradh because of duty unto the Nation, being in prison, being afflicted by a disease or for some other reason, perform the shradh through the son, disciple or a Brahman. 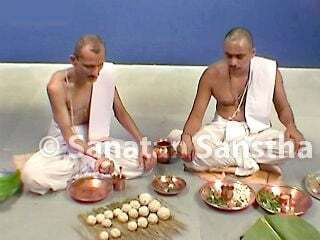 E. Perform the rite by making a resolve, meaning, except for the rite of offering the pinda, perform all the other related rites. F. The offering to a Brahman should be made after washing his hands and feet ritualistically with five substances and offering him a seat. H. If any of the above is not possible, perform shradh in one of the ways given ahead. I. If any of the above are also not possible, the shradh should be performed as given ahead. Go into a forest; raise the arms and showing a blade of grass to the Divine presiding Deities such as the sun, etc. utter the following – ‘I have nothing, no wealth etc. which can be used for performing the shradh. I pay obeisance to all my pitars. May all of them be satisfied with my devotion. I have raised my arms’. Go into a forest without any habitation; raise the arms skywards and shout loudly, ‘I have no wealth and no food. Please liberate me from the debt unto my pitars’. From all the above mentioned ways, we realise that come what may, every year on the day of the shradh, a shradh must be performed for the pitars in some way or the other; this is the prime objective. in the aforementioned alternate ways, do they bestow the same benefits ? 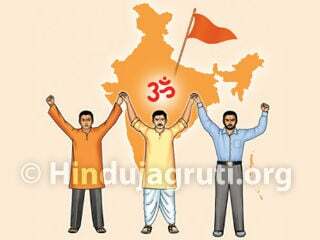 When Brahmans are not available for performing shradh, scriptures in Hindu Dharma have given a number of alternative ways. If these alternative ways are followed with bhav, the shradh rites will certainly bestow benefit. However, some people with a negative thought that ‘Brahmans are never available’ do not try to find them or even when a Brahman is available, continue to perform shradh without the Brahman according to the tradition in the family. In such cases, the benefits obtained when compared with the shradh performed as given in the scriptures, are less or none.